Join us: Hop in the Saddle Launch Party! Come celebrate the release of Hop in the Saddle at a beer soaked, bike stoked launch party. Buy a book, get a beer. Nibbles from Cheese Bar, Saraveza, Olympic Provisions, Hair of the Dog, Soup Cycle Grand Central Bakery and Tula Gluten Free Bakery Cafe. Beer from Deschutes, Widmer, Hopworks and more, with a special appearance by the Metrofiets Beer Bike and Team Beer. Beer cocktails by Jacob Grier. Kickstarter Backers: Let us show you how much we appreciate your support with a Happy Hour just for you from 6-7pm. It’s a chance to pick up your rewards and say hello. Beer’s on us. This party is open to the public, so please share this invite with a friend. We look forward to seeing you! This is the place where bikes meet beer. Velo Cult works to be equal parts bike shop, venue and bar. We couldn’t imagine a more perfect place to host this event! Founded in 1988 as a brew pub in downtown Bend, Oregon, Deschutes Brewery is known for such brands as Black Butte Porter, its flagship brew and the nation’s number one selling craft porter, and the popular Mirror Pond Pale Ale. Since 1984, Widmer Brothers has been handcrafting award winning beers with a unique and unconventional twist on traditional styles, pleasing a wide range of craft beer lovers. 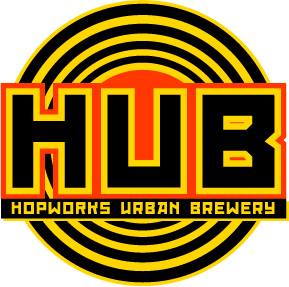 Hopworks Urban Brewery offers handcrafted organic beers and fresh, local ingredients, all served in sustainably-built and operated buildings with a relaxed, casual atmosphere. 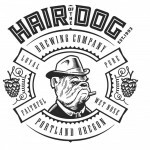 Hair of the Dog Brewery and Tasting Room has been family owned and operated for 19 years and produces unique and different beer styles at our facility in southeast Portland. North Portland’s Saraveza Bottle Shop & Pasty Tavern is a place to celebrate craft beer, eat well & enjoy friends & strangers alike. Cheese Bar is a retail cheese counter and casual restaurant that offers a rotating menu built with artisan and farmstead products. Grand Central Bakery is a locally owned artisan bakery featuring European-style hearth breads, buttery pastries, tasty hand made soups and delicious sandwiches. Home to Oregon’s first USDA-approved salumeria, Olympic Provisions operates as European-style restaurants, bustling neighborhood delis, and onsite meat-curing facilities, where salumist and owner Elias Cairo carefully crafts “American Charcuterie” using the highest quality local ingredients. Fresh, tasty meals delivered to your home and office by bicycle. 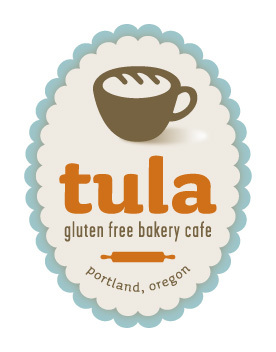 Tula Gluten Free Bakery Cafe is a dedicated gluten free space serving a full-line of both sweet and savory baked goods, panini sandwiches, soups & salads in a fresh modern environment. Tula offers many items that are also egg, dairy & soy free. We make gluten free easy. Jacob Grier is the lead bartender at Portland’s Metrovino and brand ambassador for Bols Genever. Every Metrofiets Cargo Bike is made by hand in the Pacific NW from aircraft grade steel. They have developed collaborative relationships with a collection of dedicated artisans and craft people with the goal of bringing you the most beautiful, functional cargo bikes ever made. Team Beer, still ridin’ bikes and drinkin’ beers!